North Carolina continues to see a climb in the number of concealed carry holders. Hunters and fishermen are among them, but even with a concealed carry class under their belt, they might not know all the rules for carrying a concealed handgun afield. Mike Goodwin of First Strike Defense (336-468-0475) teaches concealed carry classes across the state, with many of his students being sportsmen and women. He tells his students there are several considerations they need to be aware of when carrying outdoors. Holders should be aware of where they are and what the rules are for that area. Certain areas, like state parks, game lands, and waterways, are all accessible to concealed carry holders. Hunters can carry handguns during all three deer seasons—archery, muzzleloader, and rifle—but the pistol cannot be larger than a .22 during archery and muzzleloader seasons to dispatch a wounded animal. 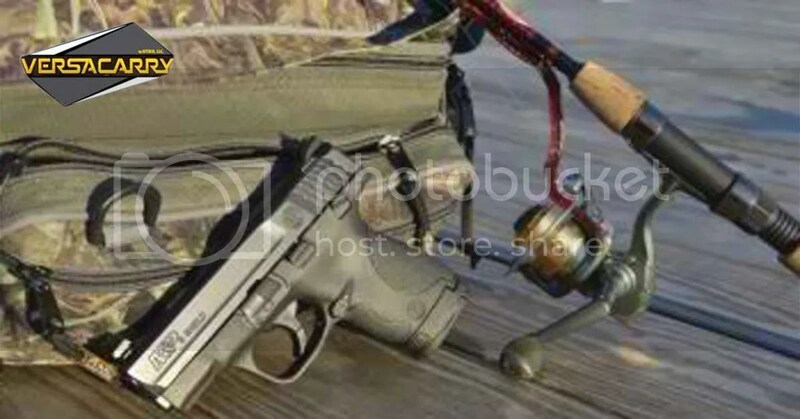 Use secure holsters that keep the handgun from falling out when in a deer stand or on a boat. Concealed carriers are required to present their permit with their identification to an officer when stopped — especially game wardens. Keeping your driver’s license, hunting/fishing license, and concealed carry permit together in a waterproof container ensures you have all the proper documentation needed if stopped. The criteria for using deadly force must always be met before the permit holder uses their firearm, but especially when the shooter is outdoors and away from public areas. With few if any witnesses, a concealed carry user must be sure deadly force is required in a given situation. “At the time a person feels that deadly force is needed, the following rules must be satisfied: an imminent threat of death, great bodily harm, or sexual assault. Also the facts must cause a person of ordinary firmness to believe that deadly force was necessary to protect one’s life. “If a person should have to use their handgun in self-defense, they should call 911 and comply with all law enforcement agencies involved,” Goodwin said.